Not Art Records and OpenICE present a concert of piano music for non-pianos. Featuring works by Conlon Nancarrow, Steve Reich, and Heather Stebbins, the instruments used will include analog synthesizers, repurposed piano components, and B. Toys Meowsic keyboards. SoundStep is a presentation of new collaborative works from 4 choreographer/composer pairings, presented by Not Art Records and Brooklyn Studios for Dance. The performance will be the culmination of four mini-residencies during which the artists created and work-shopped their new pieces. Dancer and choreographer Megan Curet is a New York native born in the Bronx with Puerto Rican heritage. An alumnus of the Martha Graham School of Contemporary Dance, Megan has worked with various NYC based choreographers including Ayesha (Bollywood Funk), Cynthia Stanley (Bardos Ballet Theater), Yin Mei Critchell, Heidi Dance, and Stanley Love (Stanley Love Performance Group). Megan focuses on the Curet Performance Project, creating new works and leading the company as Artistic Director. As an independent dancer Curet has performed nationally and internationally at PS1 MoMa, Performance Space 122, The Judson Church, Triskelion Arts, The Martha Graham Studio Theater, Avon Breast Cancer Walk, Brooklyn Dance Festival, Berlin fashion week and The Edinburgh Fringe Festival. Tyler Gilmore is a composer and electronic musician, and founder of Not Art Records. He has worked with Jason Moran, Alicia Hall Moran, Cuong Vu, Jenny Hval, Ron Miles, and many others. His writing has been heard at the Kennedy Center in Washington DC, National Sawdust, and the Jazz Gallery. His recent premieres include "From Overhead" with The Switch Ensemble in Valencia, Spain, and "More Like a Reader" with The Playground Ensemble in Denver, Colorado. Jordan Morely works in the field of the body. Creating performance through dance, puppetry, video, or text his work has been shown at REDCAT(Los Angeles, CA), Baryshnikov Arts Center(New York,NY), STUFFED at Judson Church/Bailout Theater(New York, NY), Triskelion Arts(Brooklyn,Ny), Dixon Place(New York, NY), Vaudvillie Park(Brooklyn, NY), Uncaged Toy Piano Festival at The Museum of Moving Image(Queens, NY). Originally from Katowice, Poland, Maciej Lewandowski received an undergraduate degree in Bass Performance from Berklee College of Music where he studied with John Lockwood, Greg Osby, Matthew Garrison and Joe Lovano, among others. He has performed throughout the United States and Europe and hopes to have more opportunities to do so. Hannah Button, the founder and artistic director of B.U.M.P., grew up in Syracuse, New York where she studied dance under the direction of Deborah Boughton. In 2012, she was chosen to perform works in Taipei, Taiwan by Stephen Petronio and Lar Lubovitch. Upon graduation, Hannah has worked with several choreographers and companies such as Bill T. Jones/Arnie Zane Company, The Kevin Wynn Collective, Ori Flomin, Michael James New York, Bittersuite performed at BAM, Loudhoundmovement, and Saga Dance Company. Rina Espiritu is an independent NYC local artist with a green card and a part-time restaurant job. She majored in Dance and has a minor in Asian American Studies and Psychology at Hunter College. Born and raised in San Jose del Monte, Bulacan, Philippines, she moved to NYC with her family in 2005 and resided in Jamaica, Queens. As a young immigrant in college she found her passion in dance and started her dance training in junior year against her family's wishes. She's fixated on finding ways to represent trap and feelings of being trapped in our own physical body, by the structural systems we participate in and by our individual thought processes. Raia Was is a vocalist and composer creating electronic music born of improvisation. 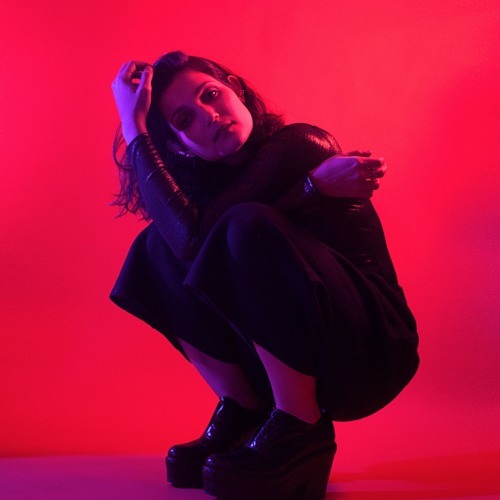 She recently debuted 'Reprise' the first single from her upcoming album Body Double, completed in collaboration with producer Autre Ne Veut and establishing the haunting sense of color and space that places her in unique context amongst artists like Banks, Portishead and James Blake. Six live electronics performers will realize this monumental work in it’s entirety, with the score displayed behind them. Not Art Records, in collaboration with International Contemporary Ensemble’s OpenICE program, is proud to present this live realization of Treatise in it’s entirety, featuring an ensemble of live-electronics performers. 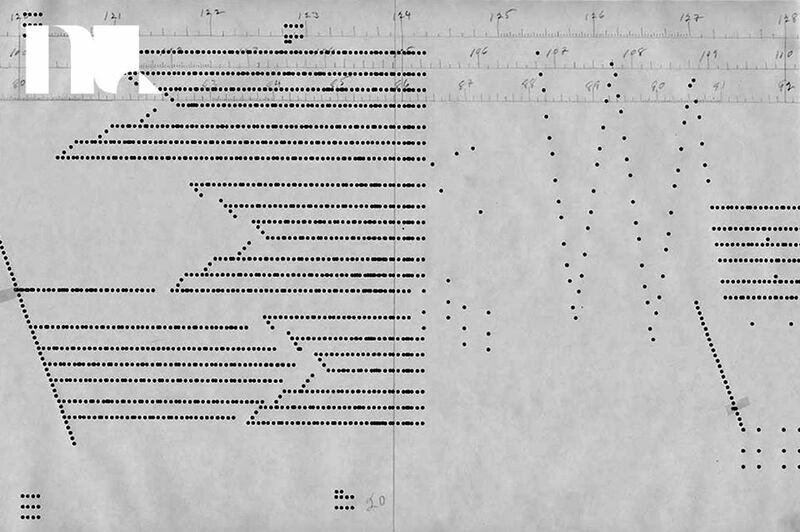 Composed from 1963 to 1967, Treatise is considered by many to be Cornelius Cardew’s greatest work and a milestone in the development of non-standard scoring. The score itself is undeniably beautiful, an architectural wonder that manages to surprise and delight throughout it’s 193 pages. Composed entirely of abstract visual elements, the work bears no description beyond itself. Each performer is left to his own creativity to choose and create the resulting sounds. In keeping with Not Art Records’ mission to support electronic artists who are pushing the limits of their medium in multiple genre, we are presenting an ensemble of all live-electronics performers, including artists from the NYC improvisation scene, experimental RnB, ambient, and noise/drone. A trio of Alaina Ferris, Lacy Rose, and Matt Schlatter will open the show. Not Art Records is proud to presents Mass Praktikal’s new album To plan is a luxury– to dream, a birthright. The album features thirteen original compositions produced and performed by Timothy C. Reece. Acoustic drums and chaotic synthesized textures combine to form this mixtape-like collection. Rhythm takes center stage throughout the set, a poignant twist on the rhythm-serving-harmony paradigm. Deep acoustic and electronic grooves bubble in and out of the texture, moving through moments of repose and saturated intensity. “The first and final tracks are called Dreams and Flux, because our life circumstances always start with a dream and end with change. Change is inevitable, but it’s just a mirror image of our dreams” says Reece. Throughout the album, Mass Praktikal explores the contrast between planning and dreaming, and the milestones one crosses along the way. Tim Reece is a drummer, visual artist and poet. He recorded and performed with The Album Leaf from 2003 to 2010. His band, Via Satellite, features Drew Andrews and Scott Mercado. Not Art Records presents Listening Time, an event series about making quiet, calm spaces to talk and listen to music. A little talk by our host Ezra will set the stage for a live set by electronic artist Bridget Feral. Inner Fields is located in a private studio in Prospect Heights Brooklyn. The address will be sent to all who purchase tickets, or message us.